Human life is driven by emotion. Yet most history books show little feeling, focusing on facts over experiences. This is particularly true of military history, despite the intense emotions war evokes, from the exhilaration of combat to the depths of grief. The Unwomanly Face of War breaks this pattern in extraordinary style. 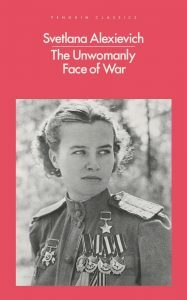 The Unwomanly Face of War was researched and written by journalist Svetlana Alexievich. It details the experience of women serving in the Soviet armed forces during the Second World War. When it was first published in 1985, it was a groundbreaking work, revealing a side of the war that fitted poorly with the USSR’s official accounts. Extraordinarily, despite its huge significance and international impact, it only appeared in English last year, translated by Richard Pevear and Larissa Volokhonsky. Most of the book is filled with veterans’ own accounts of the war. These provide powerful testimonies to the experiences of these soldiers, sailors, pilots, and support staff. Their struggles, their traumas, their losses, their fleeting moments of joy, all are laid bare on the page. From saving lives by leaping upon burning tanks to losing a baby while hiding in a swamp, both the details and the way they are presented catch at the heart in a way that most military history doesn’t. In this book, we read the human experience of war in a way seldom seen elsewhere. Like any history book, this isn’t a simple presentation of facts, but their careful cultivation to prove a point. Alexievich is open about this, making her role explicit throughout. She describes finding and meeting these women, talking with them, and making difficult decisions about what to include. 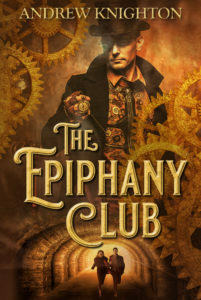 Making the audience aware of the author can often create a sense of distance. In this case, it brings us closer to the story. Alexievich describes her own reactions and those of the women to being asked about their lives. The way the war still affects them decades later adds to the power of what these veterans have to say. This book is important because it shows the underrepresented role of women in fighting the Second World War. It explores the extra challenges they faced and the way the war transformed their lives. It pays tribute to their courage, skill, and tenacity. In doing so, it reveals how incomplete our view of military history is. These women struggle to express their stories, for a range of social, political, and personal reasons. Yet they are able to reveal aspects of war that few men could discuss, indoctrinated as we are to bury our feelings and hide our weaknesses. I have read dozens, probably hundreds of books based on men’s accounts of war, and never felt like I had a complete view of it as a human experience. The Unwomanly Face of War fills an important gap in that picture. Reading these stories, it feels like an act of madness to have ignored them for so long. But perhaps that ignorance was protective, a way of hiding ourselves from the traumatic reality of conflict. Never having been a combatant, I’ll never truly know, and I’m grateful for that. But I’m also grateful to Svetlana Alexievich for revealing to me another face of war.